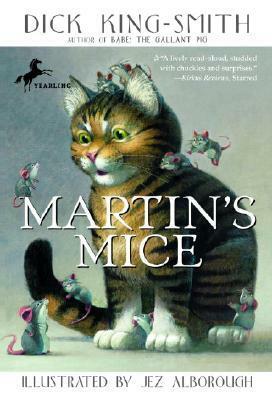 This adorable story follows Martin, a farmyard cat who doesn’t want to eat mice. Instead, Martin begins keeping a pet mouse confined in a bathtub, until he learns just how awful it is to imprisoned as a pet. I loved the delightful writing style with all the humor and silly situations that Martin goes through. Poor Martin is quite clueless when it comes to the workings of a farm, and forgets the proper place of each animal. This leads to a lot of ridiculously funny dialogue with various farm animals. This would be a wonderful book to read aloud, with different voices for the cows, sheep, pigs, and ducks all around the farm. I found the plot to be interesting and surprising, despite its simplicity and straightforward story-telling style. A very enjoyable read!